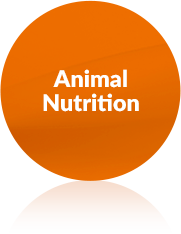 Natural Vitamin E (d-alphaTocopherol) from Non-GMO vegetable is an essential compound in animal nutrition thanks to its recognized benefits. Oxabiol® E pet is available in different formats and concentrations, from 340 to 1300 International Units. With more than 20 years of experience developing natural ingredients, BTSA is one of the leading European manufacturers of Natural Vitamin E for pet food. Natural Vitamin E (d-alpha Tocopherol) has higher biological activity compared to synthetic vitamin E (dl-alpha Tocopherol) since there is greater absorption and therefore retention of its natural form in the body. According to the Food and Nutrition Board, NRC (2000), 1mg of synthetic Vitamin E (dl-alpha Tocopherol acetate), has a maximum of 50% of active substances compared to its natural form. Have any question about OXABIOL® E pet? If you have any question do not hesitate to contact us. One of our consultants will get in touch with you to assist you and to give you the information that you need.